"Tired of being a noob? Need help acieving King or higher? Well here's the guide for you! Might in CC is important now more than ever. With increased honor badge rewards, increased merits, and increased quest experience, there really is no reason to keep low might in CC anymore. In this guide I will explain the key essentials to increasing your might at any level. Honor Badges are what make your world go round when it comes to increasing might. Not only are hero expeditions your primary HB income, but they are also a primary merits income. Do these EVERYDAY. If you cannot complete all ten of them (and in a timely manner), do not frett. Keep on grinding that HBM and improving your heroes arsenal. Starting off boss battles will support your HB needs, but later (king and beyond) hero expeditions should be your bread and butter. For several months I went crazy and didn't miss a single boss battle. 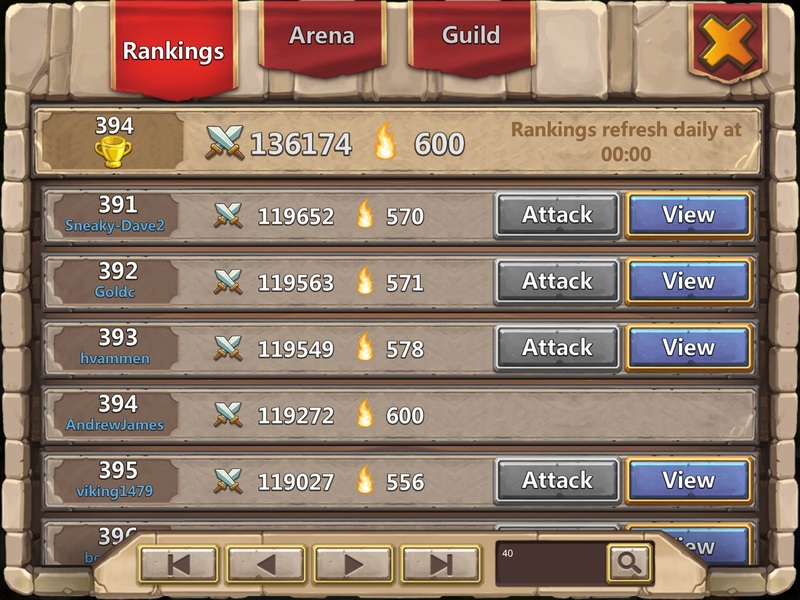 At lower mights (below 80k), and even at higher, attending your guild's boss battle every day can really make a difference. Not only is it good for your might, but boss battles are a good time to get to know your guild, and to run Storm Mesa. A "dupe" in regards to CC is a duplicate hero that you use strictly to increase your might. When going for a high might you want to have 68-69 of the best heroes you can get your mits on. 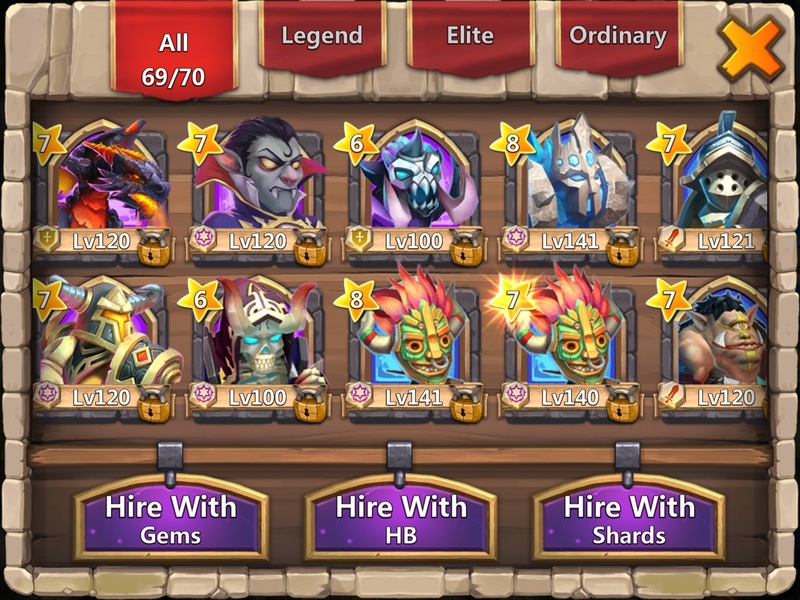 While I do recommend keeping at a maximum 5 normal, and 5 elite heroes for garrisons, if you do not have enough legendary heroes to fill your hero slots, try holding onto the highest talent elite heroes you can find until you replace those with legendaries. What does this have to do with HBM? Well its simple, HBM is where you get most of your experience. And if you use garrisons to level up your dupe heroes, your maximum might will increase drastically. The only garrisons you should use in hbm should be heroes that you are trying to level up. Only use blue and green garrisons if you are trying to beat a HBM that you havent beat before! Farm hbm J ASAP!! Once you can beat J handily, move onto N, O, and then P/Q. Yes lost realm gets boring after time, but blue crytals are just as important as honor badges for increasing your might! The cool thing about blue crystals is that once you get your crystal mines to a decent level, all you have to do is log in and tap your mines 1-3 times a day to collect the crystals. So grind out some lost realm, get your crystal mines to AT LEAST level 15, and watch the blue crystals flowwww xD You want to get your dupe heroes to the highest inscription level as possible, this is why both honor badges and blue crystals are so important for your might. Un-cap your dupes, raise their inscription, and then rinse and repeat! Increasing all of your heroe's skill levels to 2/9 and then 3/9+ will also increase your might by several thousand. On top of this if you ever roll talents be sure to put 2/5+ talents that you don't need for your main heroes onto your dupes. Once all of your heroes have 2/5+ talents, start replacing the 2/5s with 3/5s and so on. This can even be done slowely by FTP players, so don't forget to put your talent rolls to good use! I hope this guide has helped you, feel free to message me with any questions!! Here I increased my might by nearly 17k in one day! THIS IS NOT THE EASY MIGHT I spent several months saving blue crystals (7M) and uncapping heroes in HBM, and then did their inscriptions all on the same day! Another very small aspect to increasing might that I did not mention is building, spell, and troop levels. Might up, and clash on!! Snow storm increases in size and duration as you level it up and will stun heroes, towers and troops in a wide area. Snow storm prevents magic towers from stunning your heroes. Don't forget the old school boosts too. Up your hero skill levels to help increase that might and put high level talents on secondary heroes. Good guide Andrew! Good call @pottshott, that is definetly something I will have to add. 3/9 skills and 3/5+ talent on all heroes also helps a great deal.